A holiday in the Austrian Alps, in form of ski safari, is as pilgrimage in the historical ski resorts of Tyrolean mountains. Take a flight for a weekly of ski safari to visit these famous ski slopes is easier as you think! 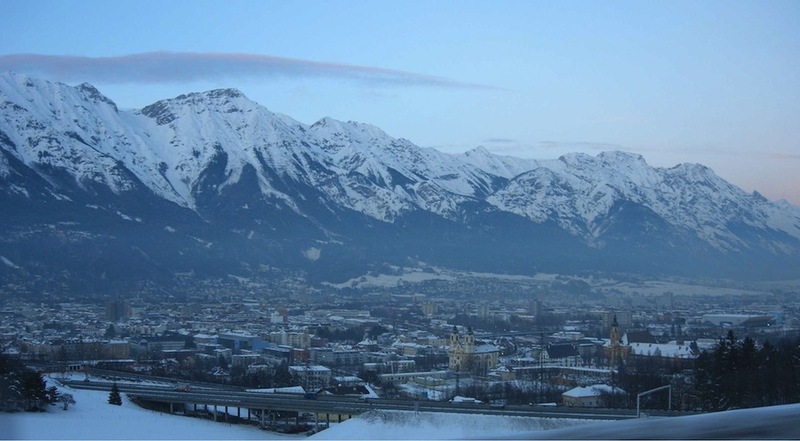 To the airport of Innsbruck there are many international flight from London or Frankfurt, that are possible combine with the main provenience of the continental flights. Here you will find me and this is the begin of your adventure in ski safari along the famous Tyrolean ski areas. How? Read the proposal below. You will arrive at Innsbruck and you will find me here with my 7 places car. We will have a “informative briefing” about the general meteo condition and the condition of the snow, then we will go to our base camp in the town. If is available the nice Pension Paula or in alternative a similar hotel. After these logistical phase I lead you to spend the rest of the day to visit the magnific old town and to end with the dinner in a old beer house (the typical tyrolean popular restaurant). 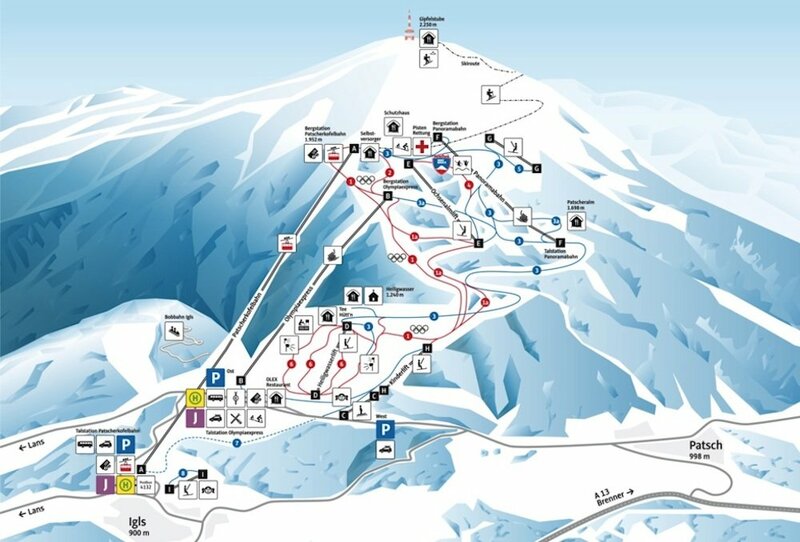 We begin with the large and impressive ski area of the “Nordkettenbahnen”. This ski area is directly over the town and have very long and steep slopes. A perfect approach at the ski reality of Tyrol, but especially a perfect panoramic position in south sunny side to have first view in this complex mountains range. Garmish Partenkircher is only some km north of the border with Austria and is the most famous and historical ski area of Germany. 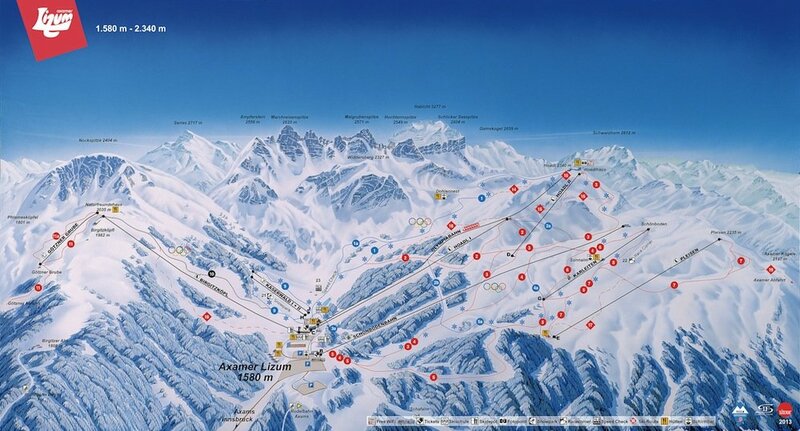 Exactly are two ski areas: the Osterfelderkopf (2050 m.) and the Zugspitze (2962 m.) that is possible connect on one “intense” day or better in two “more relaxing” days to enjoy this large alpine mountain ambient. In this second case we have one overnight in the characteristic town of Garmish and a visit of the historical downtown. 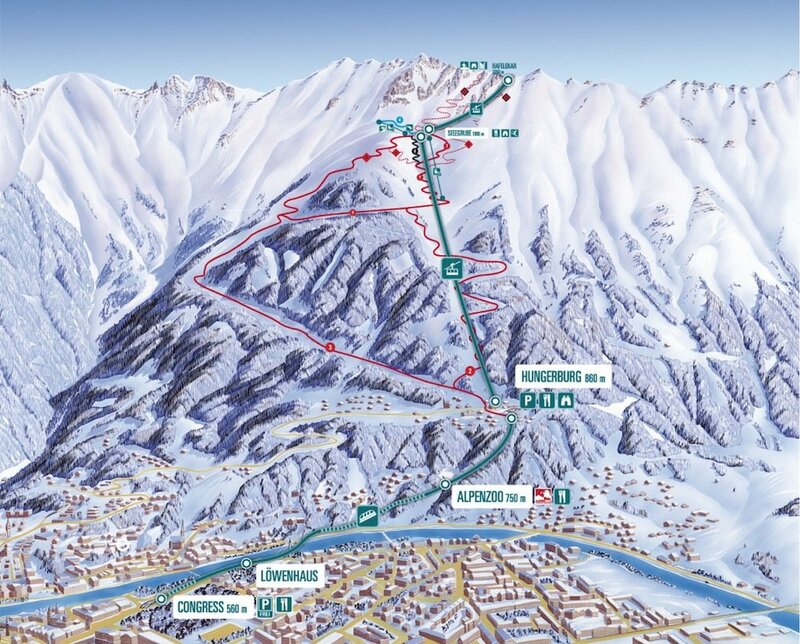 We dedicate one day at these two ski areas that are the traditional ski resorts of the city of Innsbruck. This day is a reasonable calm ski safari that we can set based at your preference: to combine with a visit of the old town, or at the near castle of Ambras…. Why not! Don’t forgot that you are ski-tourists and sure like to visit the more authentic and traditional aspect of this territory! In this day we ski at the Axamer-Lizum ski area in the limestone mountains of the Kalkkögel, it’s a strange ambient for this area because looks as the Dolomites! 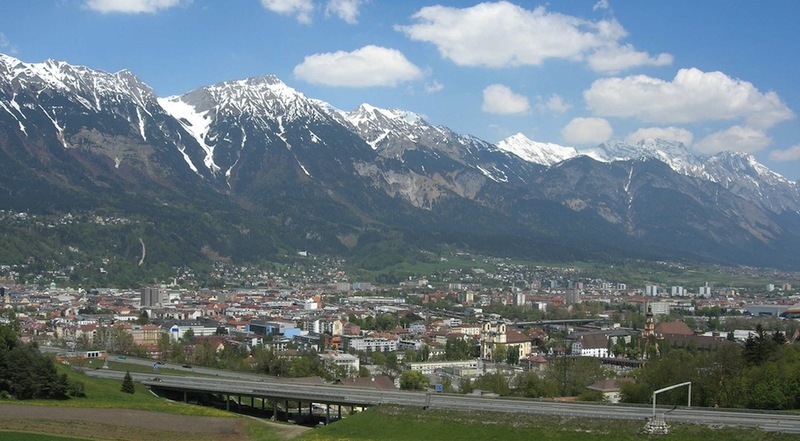 A range of mountains at form of a semicircular basin are the border of this original ski resort near Innsbruck. For the hard skiers…. 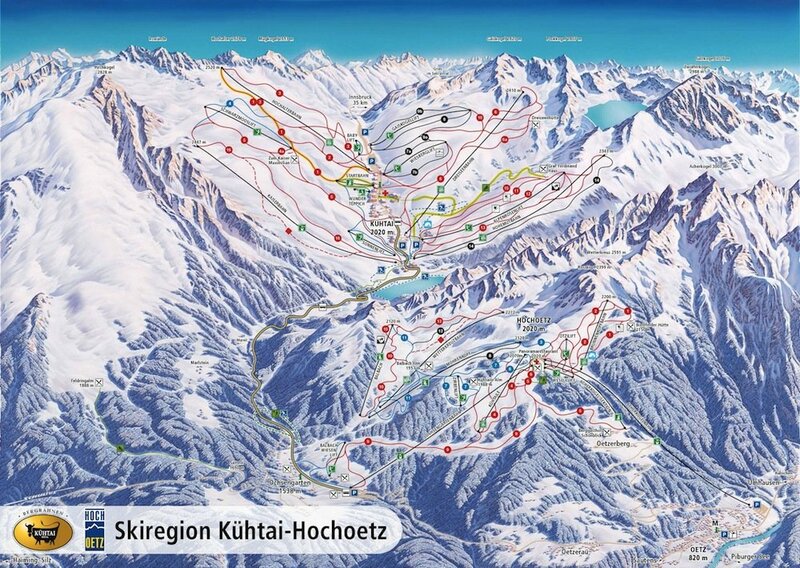 in one day is possible to combine this ski safari with the ski area of the Serles “the mountain of Innsbruck”. We dedicate the last day at the popular ski resort of the Kühtai pass. 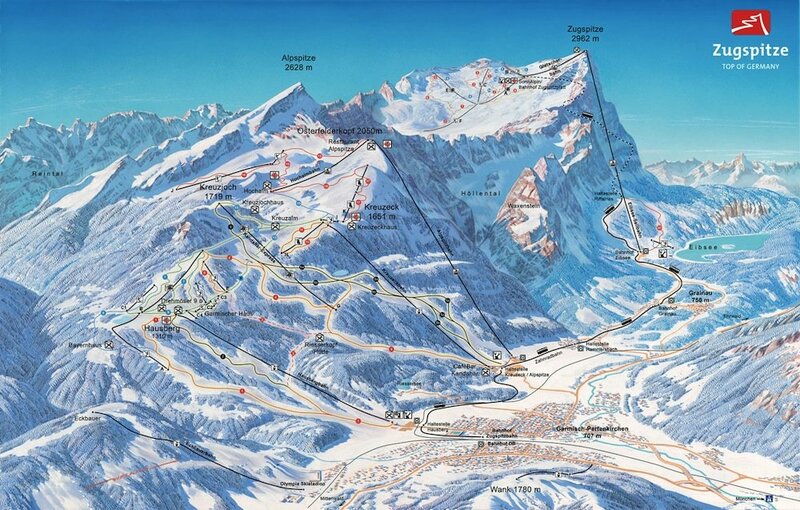 A authentic “Austrian style ski resort”, more quite and extended of others ski areas. In the last day we can run our ski safari along steep slopes to enjoy our last moments on the skis. Departure based at your flight plan directly to the Innsbruck airport. What is the best period for the Ski Safari in Austria? It’s when you have vacation days, of course! From Christmas to Easter, when you prefer….. 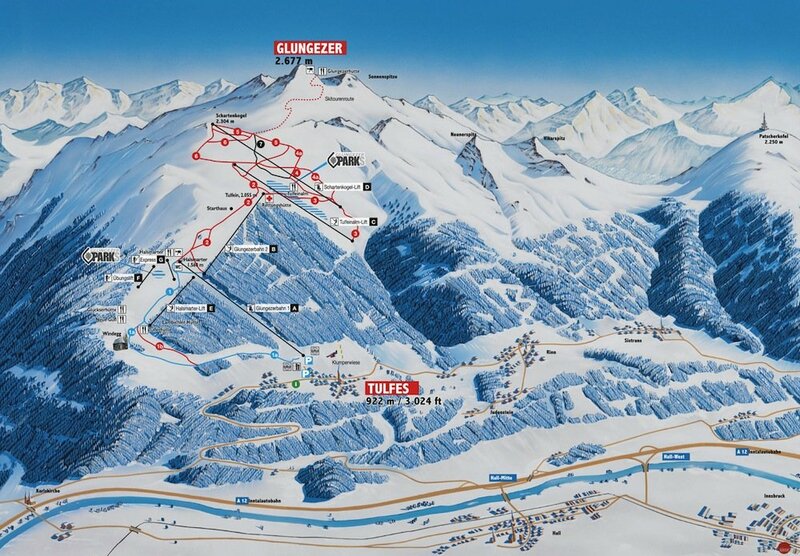 The Austrian ski slopes wait you!